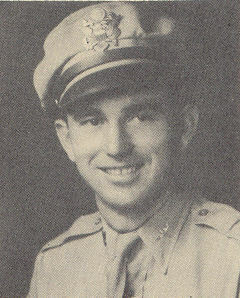 Lt. Jack F. Purcell, son of Mr. and Mrs. Purcell, attended CSTC, Edmond; husband of the former Thelma Henry. Entered Air Corps in 1942, trained in San Antonio, Pampa, San Marcus, Texas, Chickasha, Okla., Coffeyville, Kan., and Sadalia, Mo. ; served in England, France,Belgium, Luxembourg, Holland, Germany and Austria.